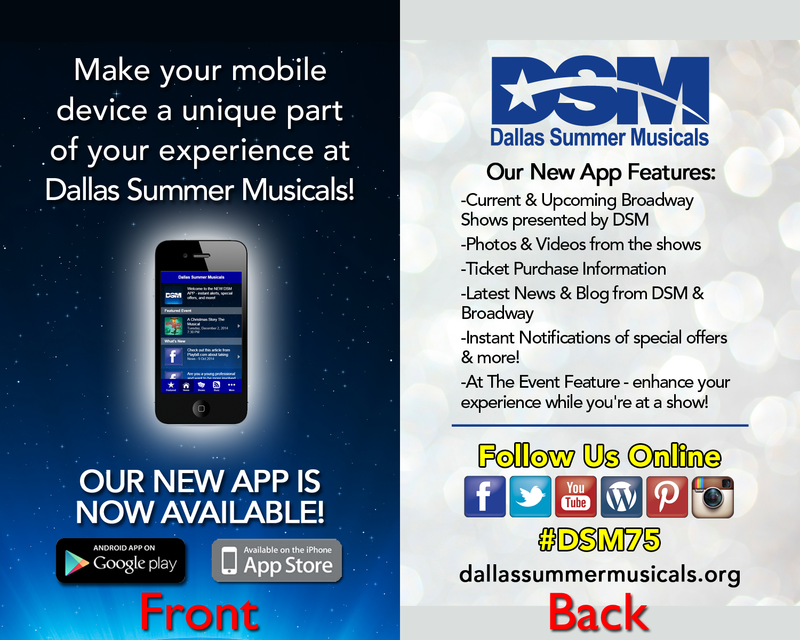 Today we have the pleasure of highlighting one of our newest partners, Dallas Summer Musicals. This is a well establish theatre organization with 75 years of experience which produces performances throughout the year. They are also one of our newer partners, with their Apps being published just one month ago. In this short time, they have seen an App adoption rate for both iOS and Android that is a factor of 10 higher than some other similar sized arts organizations, and even higher than some larger organizations. What is their secret? The key is simple: Communication. Promoted the App on Facebook, Twitter, and other social platforms. Included links on the footer of their website and marketing emails. Advertised along side of their Season Tickets. Updated their previous App to promote the new App with download links. Sent special email announcement to one of their audience lists with over 50,000 contacts. Remind patrons to download the app, emphasizing the At-The-Event content, when sending out performance reminder emails. What we see is a comprehensive campaign to make sure that their audience is not just told, but informed about the App at every opportunity both at home and at their events. When thinking about how to promote your own App, keep in mind that simply advertising that you have an App isn’t necessarily sufficient. Letting your audience know what the App can do for them will give them a reason to check it out. A Mobile App can be an extremely valuable tool, but if you don’t let your audience know all about it, they won’t use it!